Is there a simple solution to Centrelink’s debt collection problems asks not-for-profit CEO David Tennant. Before considering the current rules, it is worth reflecting on their evolution. The first coordinated Australian consumer protection law was the Trade Practices Act, 1974. Section 60 of the act prohibited corporations from engaging in “physical force, undue harassment or coercion, in connection with the supply of goods or services, or in connection with the payment for goods or services by a consumer”. There were similar prohibitions in most of the equivalent state-based fair trading acts. Unfortunately, for many years section 60 failed to produce any meaningful action in response to regular reports of aggressive, bizarre and sometimes violent collection processes. That changed in 1999 when the Australian Competition and Consumer Commission (ACCC) launched a report and guidelines on undue harassment and coercion in debt collection. The guidelines followed a detailed consultation process, by which time creditors and collectors knew the regulator was interested in improving conduct and compliance. Investigations and even some prosecutions followed. So did a more coordinated approach amongst the key consumer protection regulators. In October 2005 the Australian Securities and Investments Commission (ASIC) joined the ACCC as joint publishers of the debt collection guidelines. The joint publication removed any doubt that the approach to appropriate debt collection in the provision of consumer services would also be consistent across financial services and credit industries. One of the case studies that then-ACCC deputy chair Louise Sylvan referred to at the October 2005 launch contained issues relevant to the current Centrelink debate. It involved a young man who received a letter of demand for unpaid video rental fees. The young man was unsure he owed the debt and asked for more information that the collector failed to provide. Sylvan noted that collectors need to be very sure that the person they are contacting about the debt legitimately owes the amount, otherwise demands for payment could constitute misleading or deceptive conduct. The law has evolved since 2005. The Trade Practices Act has been replaced by the Competition and Consumer Act 2010. The modern equivalents of section 60 of the Trade Practices Act now appear in the Australian consumer law which is a schedule to the Competition and Consumer Act. The Commonwealth, states and territories share responsibilities for supervising compliance with the Australian consumer law. The ACCC and ASIC have maintained and updated the debt collection guideline consistent with changes in the legal landscape. Its most recent iteration was released in February 2016. The guideline is not law. Laws are made by Parliament and interpreted by courts. It is however a highly-evolved statement about the type of conduct creditors and collectors should observe if they wish to avoid breaking the law. This is what the regulators think the law means and how they will decide when to intervene. The debt collection guideline could be really useful to Centrelink. It recommends, for example, accurate record keeping (clause 10), providing information when it is requested (clause 11) and suspending collection activity if there is a genuine dispute about the existence of an alleged debt (clause 13). Many of the reports in recent weeks detailing Centrelink’s approach to chasing data matched debts suggest actions at odds with the debt collection guideline. Centrelink is not however required to comply with the Australian consumer law and the debt collection guideline only applies to government bodies engaged in business activities. In other words, Centrelink is not bound by the rules that apply to every consumer creditor and collection body in Australia – even the much maligned banks. Centrelink could opt to be bound by incorporating the debt collection guidelines into its service standards or operating procedures. Other industry groups have been doing so for years. Again, the banks attract considerable criticism for poor conduct but have adopted compliance with the debt collection guideline as part of their Code of Banking Practice. Far better than voluntary adoption, the law could be amended to require compliance for Centrelink and all government collection activities. About the author: David Tennant is the chief executive officer of Goulburn Valley Family Care Inc located in Shepparton, Victoria. 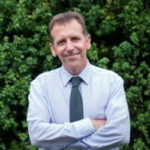 He is a former chairperson of the national peak body for financial counsellors, now known as Financial Counselling Australia. What you say seems truly extordinary. Is this why Centrelink and the minister are ignoring ever-growing storm of protests over the robo-debt issue? Centrelink are not breaking the law because in this case they are actually “above the law” so to speak? Where do the boundaries lie in respect to what they can do that nobody else can? So even though the system is throwing up huge numbers of perverse outcomes , punishing those not guilty of any wrongdoing – the best we can hope for is that Centrelink are ultimately forced by whatever process to comply with the law as it applies to all other Australians in the future? Also, does this mean that no-one will ever be held accountable for this mess because at the time they are committing it, they are legally free to do so? Retrospectivity will not be applied to them the way they are applying it to hundreds of thousands of others? I gather that Centrelink engaging private debt collection agencies like Dun&Bradstreet to collect debts – real or otherwise – does not count as being engaged in business activities? Hi Fred – yes it is an odd situation and reflects an approach that I think most people would view as being out of date and out of touch. That said, not being required to comply with the law is not the same as being authorised to break it. I hope this prompts some review within Centrelink and amongst its contracted collection agents about what constitutes acceptable behaviour. Hmm – says 3 comments but I can only view the 2 that I have left.